Kanoodle Portable Puzzle Game - Definitely Not Your Standard Puzzle! Looking for an awesome solo puzzle game that your kids can take with them when traveling? Then behold the Kanoodle Portable Puzzle Game. 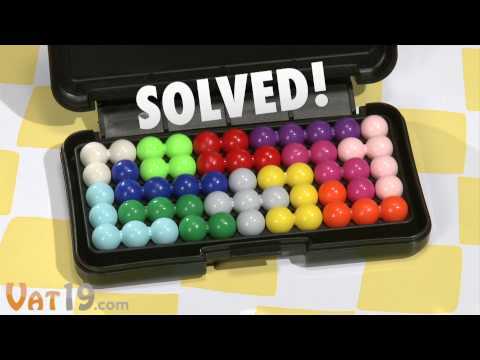 If they are new to puzzles and brain-teasers, they can start with the easier 2D challenges to understand the basics on how the Kanoodle works. Once they are able to master the easier puzzles, then they can move onto the more serious 3D problems to solve. Looking For An Alternative To The Kanoodle Portable Puzzle Game? The check out our Puzzle Games For Kids section before you go!